Clothing, namely golf shirts, T-shirts, sweatshirts and jewelry. Hospital services. 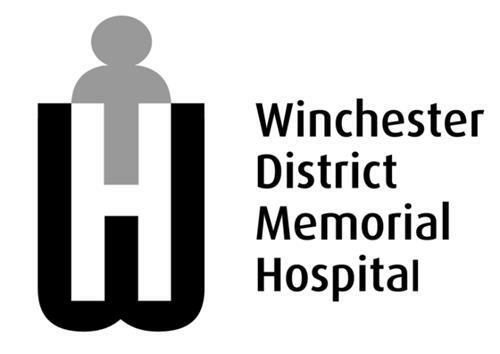 On Thursday, November 27, 2008, a canadian trademark registration was filed for the above pictured logo by Winchester District Memorial H 566 Louise Street, Box 47, Winchester, ONTARIO, CANADA K0C2K0. The Canadian IP office has given the trademark application number of 1419729. The current status of this trademark filing is Registration published. The correspondent listed for is MILLER THOMSON LLP of SCOTIA PLAZA, 40 KING STREET WEST, SUITE 5800, P.O. BOX 1011, ONTARIO, CANADA M5H3S1 The trademark is filed in the description of Clothing, namely golf shirts, T-shirts, sweatshirts and jewelry. , Hospital services. .
(1) - Clothing, namely golf shirts, T-shirts, sweatshirts and jewelry.